It's difficult to enjoy your retirement years if you're weighed down with obligations and stuff you don't really need. The more you can shed prior to retirement, the better. Most people think of getting a smaller residence when they think of downsizing, but that's just one piece of a larger puzzle. Before you assume that selling your home and moving into a smaller one is the best thing for your retirement, examine your specific situation to see if it's a smart move. Find out how much your home is actually worth and compare that to the cost of moving, the cost of a new home (to buy or rent), and any additional costs associated with moving such as relocation expenses and closing costs. Looking at all these numbers, does a move make sense? Selling a home may result in some taxes on the profit (capital gains), and if you've spent years building up equity in the home, selling it means you won't have that equity to fall back on for a reverse mortgage or equity loan in a financial emergency. If your move takes you to another state, consider state and county taxes may be more than you are accustomed to, as can the standard cost of living in the area. If you've lived in your house for many years and perhaps even raised a family there, it's quite likely you have more belongings than you know what to do with. Piles of clutter can feel overwhelming, especially when you're heading into the next stage of your life: retirement. Decluttering will make a move simpler, or if you're staying put, it will make your home environment more pleasant. 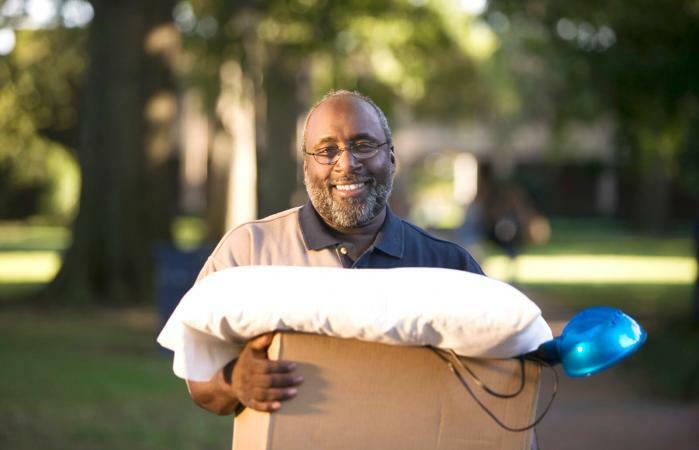 Should you need to eventually move into an assisted living facility or move in with one of your adult children, decluttering now will make that process easier for everyone involved. Sometimes adult children leave belongings from their childhood at their parents' house. If this is the case, summon your children to come gather their belongings. While they're at it, ask them to pick out any items they anticipated inheriting from you. Family heirlooms, knick-knacks, and other items to which you have emotional attachments are easier to let go when you know they're staying within the family. Non-profit organizations exist in many local communities which directly donate to needy families. So instead of simply dropping all your items off at a charity where you don't know what will happen to the belongings, partner with a charity that you know will match your donations to someone who needs it. For example, letting go of your extra dishes seems a lot easier when you know they will go to a struggling family that will use and appreciate them. If there are items to which you feel emotionally attached, yet you don't have anyone close to you to take the items. If you feel as if you can't let go, consider renting a storage space for these items - especially if they're large items. The storage space shouldn't be a permanent solution; it should be more of a placeholder to see how you feel about having these items out of your daily life. There is a good chance that you'll find you can function day to day without those items and your emotional attachment is perhaps not as powerful as you thought. When you feel ready, donate the items to a charity you care about. Does a weekend shopping trip with your friends contribute to your downsizing efforts or does it sabotage it? Does signing up to be a weekly volunteer help you simplify your life or does it only complicate things? Does being available to babysit your grandchildren without any notice beforehand help keep your life simple, or are you being taken advantage of and allowing your daily life to be more complicated than it should be? Does setting aside a weekend to intentionally sort through your belongings help lead you to your goal of downsizing? Does allowing your adult child to move back in help you simplify your life, or does it complicate it? Use the same goal-oriented decision making tactics when deciding what to keep and what to donate, sell, or throw away. Going from room to room, go through your belongings and decide if holding onto those items helps or hinders your plan to downsize. Going into retirement with as simplified a life as possible allows you to go where you want and do what you want. Downsizing tackles a huge task that you would otherwise have to find time for eventually.